Dark Signal, hailing from Sacramento California, comes with a new rock sound. Powerful and dynamic rock rooted in the origins of a driving foundation. Dark Signal formed in 2017 by Sammy Karlin, Matt Thomas, and David Gorman, later to be joined by Logan Gameson and Ryan Cavalli. 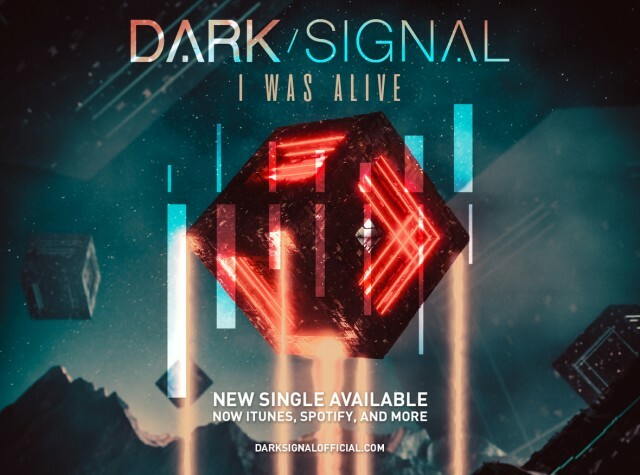 Years of writing, recording, performing, and growing to craft a refined sound in the image of their take on modern music; Dark Signal is tasteful as it is heavy, aggressive as it is beautiful. Absorbing the influence of new artists like Nothing More creating a new sound for music that can translate into performance. Make no mistake this is a performing group, with a vision for the stage as strong as the studio; working to deliver an experience worthy of their fans support. Dark Signal is elegant, and destructive. The best of them, at the worst of times. Dark Signal is everything the group wanted it to be, and nothing they imagined. In the end everyone’s looking for a story, something to connect to. Dark Signal is a choice. The choice to be our true, and find music we connect to in the same way we connect with others.